Imagine being within earshot of this prophetic insight. Our hearts break whenever we read the ungodly words of these church leaders. 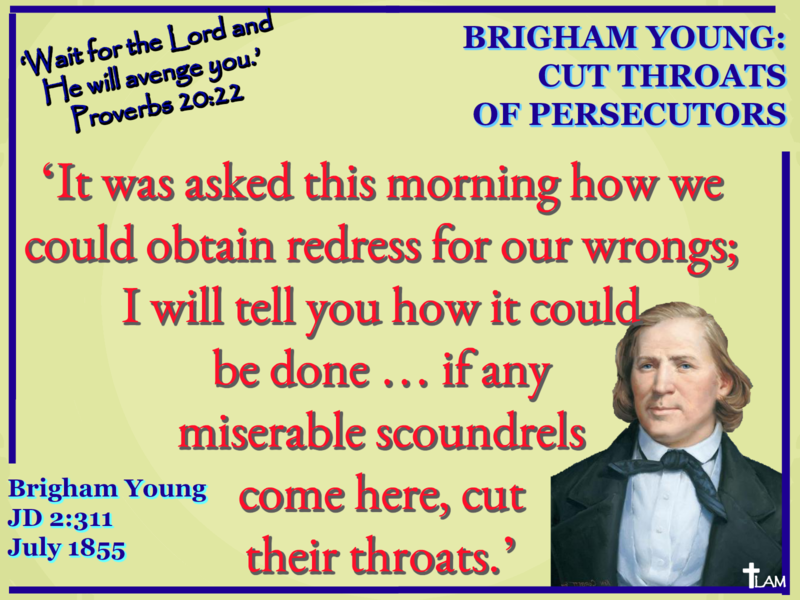 Brigham’s words weren’t only meant to bolster egos of Mormons listening to his diatribe, but it also fostered fear into the psyches of those in attendance. Make no mistake, this was a threat to anyone thinking about leaving the Church. Also keep in mind this event didn’t take place in a vacuum. Its effects were passed on down from one generation to the next. We have to ask: would Jesus do this?